Wildcats may bleed purple, but when it comes to graduation at Weber State University, there are many other colors that students wear with pride — each with its own unique meaning. During the commencement ceremony on April 26, students will represent their colleges as they walk. 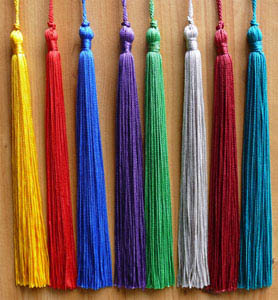 With a total of 13 different colors, the tassels corresponding with each academic college will be as follows. White will be used to represent associate and bachelor’s degrees in the College of Arts and Humanities as well as Master’s of Arts in English. Students graduating in the College of Sciences will wear golden yellow. Light blue will represent the College of Education as well as the master’s degree in athletic training and education. Students who achieve associate and bachelor’s degrees in the College of Applied Science and Technology will wear black. Graduates in the College of Electrical Engineering will wear orange. Students in the College of Business and Economics, as well as those who achieve a master’s degree in accounting, taxation and business administration, will wear brown. Cream will represent the College of Social and Behavioral Sciences as well as graduates receiving a Bachelor of Integrated Studies. Students graduating in criminal justice will wear citron. Apricot will represent the College of Health Professions as well as graduates who receive a master’s in radiology or nursing. All students graduating in health administration services will wear salmon. Crimson will be used to represent students achieving a master’s degree in communication. Weber’s school colors — purple and white — will represent graduates receiving an associate degree in general studies. “It’s cool to have different tassel colors because if you know what they represent, then you can tell from someone else on what they accomplished,” graduating senior Micah Van Sickle said. Students receiving their diplomas will wear two colors of robes: purple and black. The black robes will be worn by students receiving a bachelor’s degree, with black caps and a color tassel representing the department or major they’re graduating from. 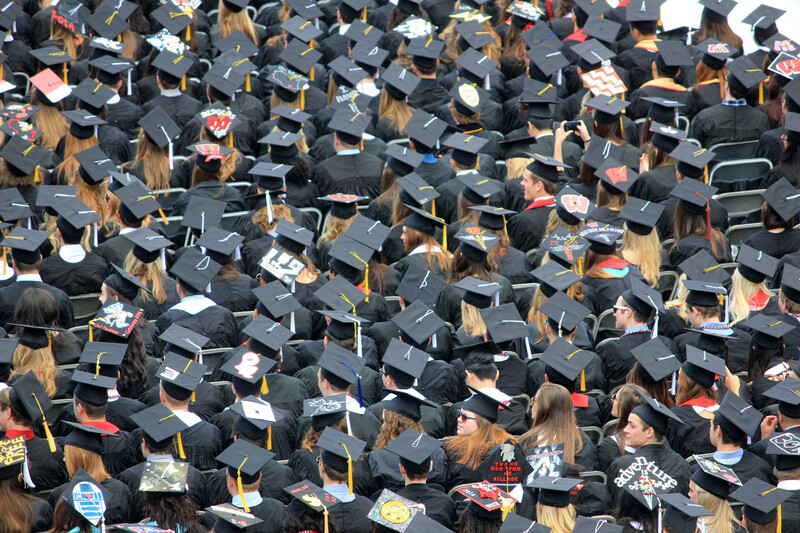 Honor cords for graduates are identical to those worn in high school, which are bright yellow. Graduates achieving their master’s degree will have a different look to their gowns, sporting a long and draping sleeve to distinguish them from the other degrees. Although WSU doesn’t award doctoral degrees, those with a Ph.D. will have their own gowns that include a hood with a stripe for the program they’re graduating from and three stripes on the sleeve with the color of the area that they received their doctorate from. In the front of the gown is a velvet trim. Students graduating this spring are able to pick up their caps, gowns, tassels and other mementos at the Grad Finale on April 16 in the Shepherd Union Ballrooms from 8 a.m. to 4 p.m.